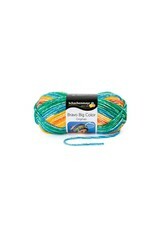 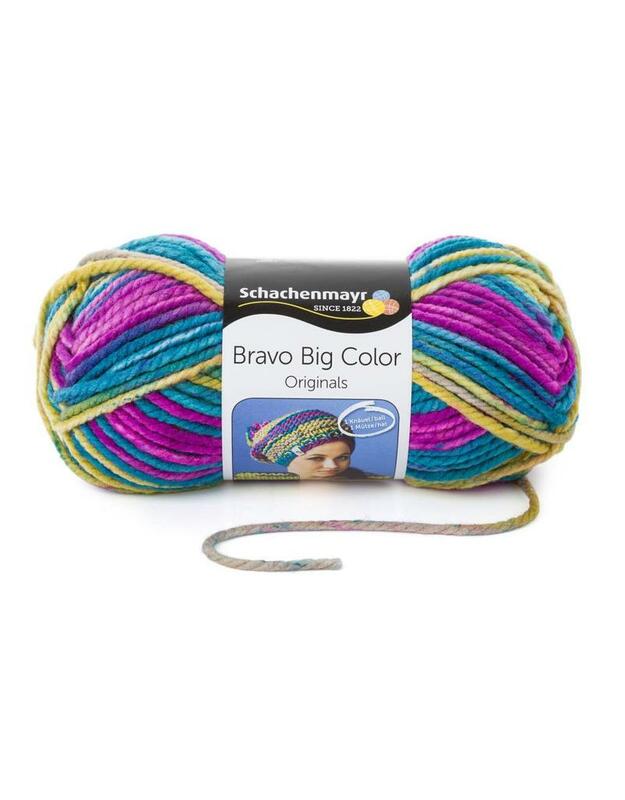 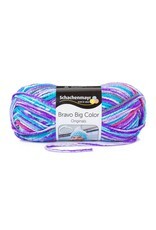 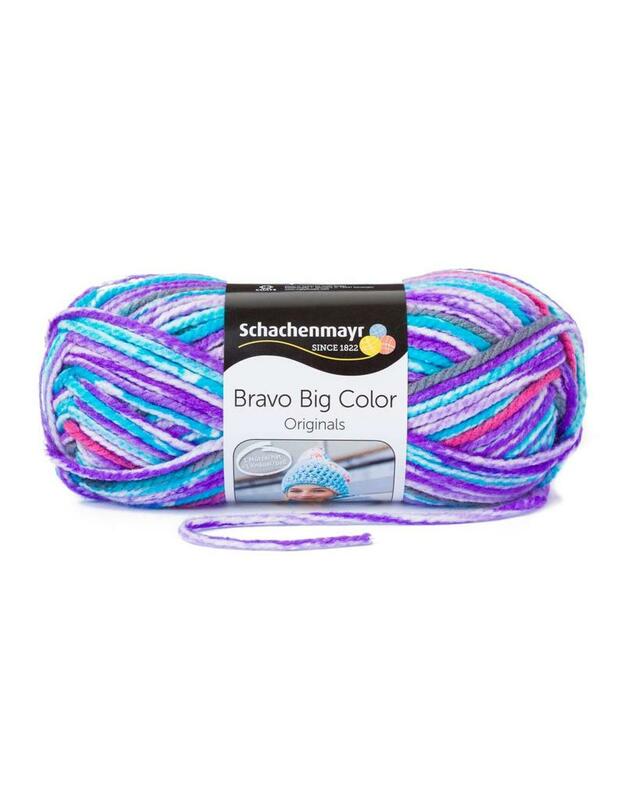 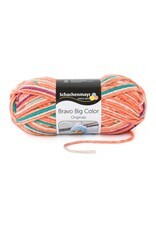 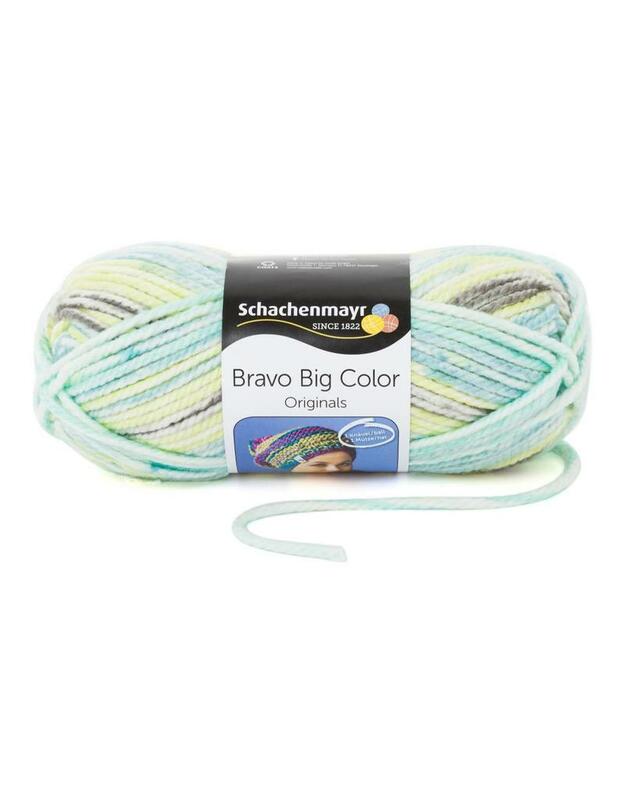 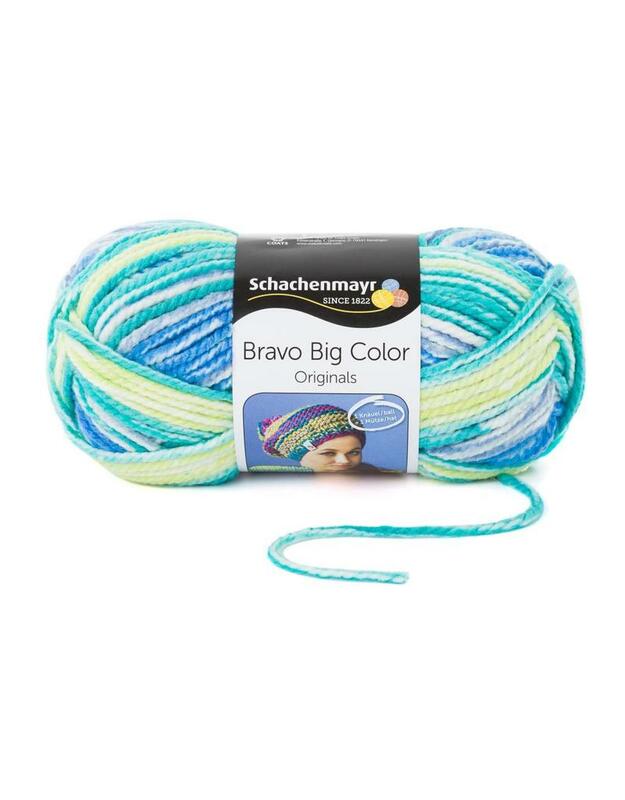 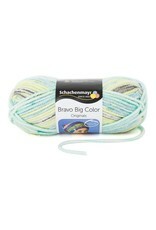 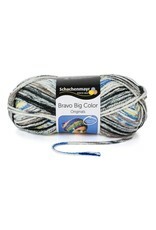 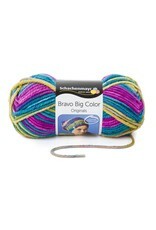 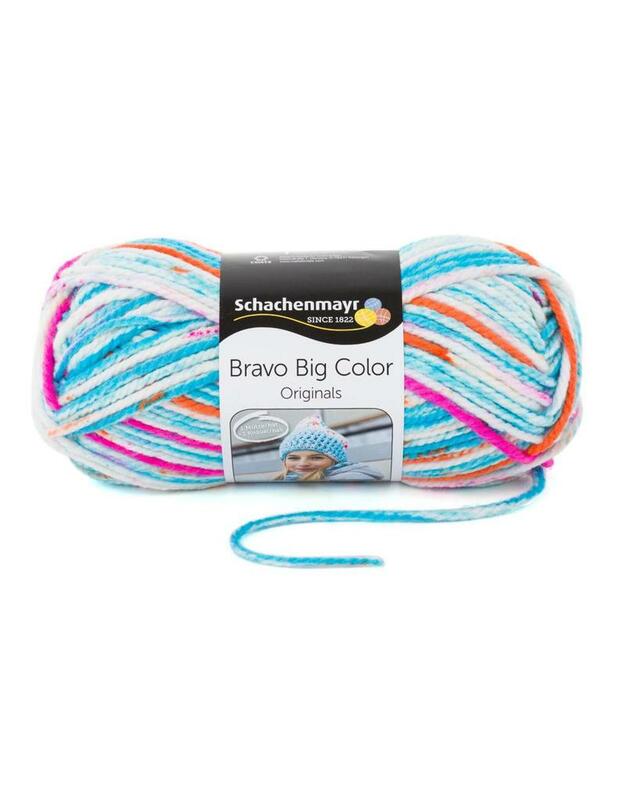 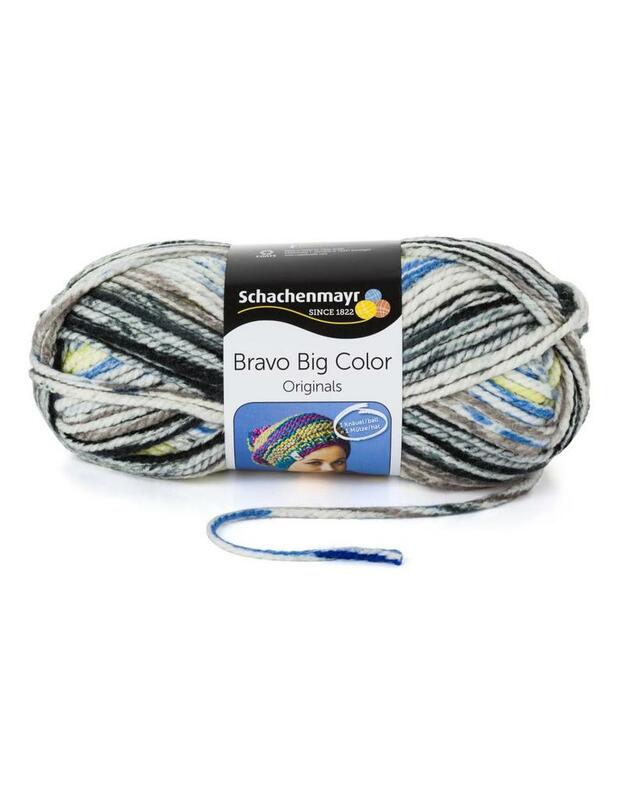 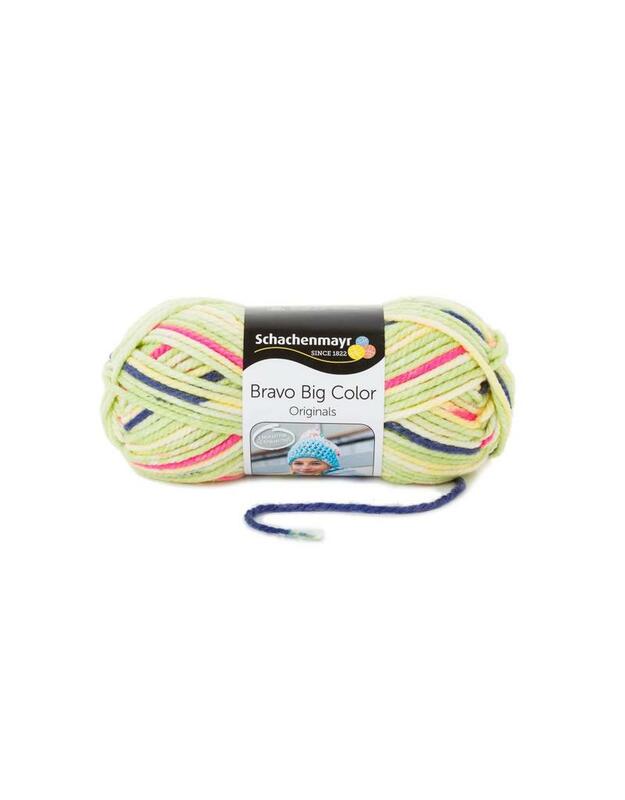 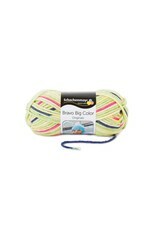 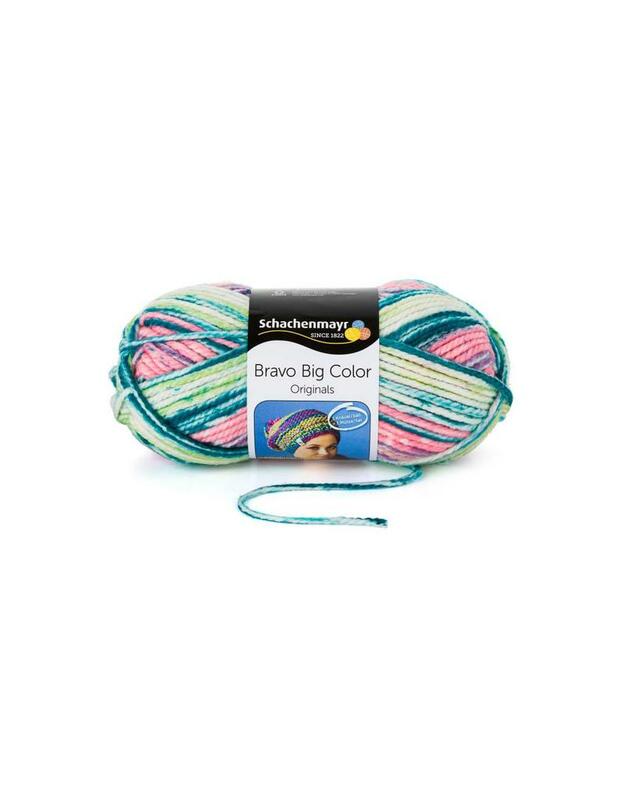 SMC Bravo Big Color - Crochet Stores Inc. 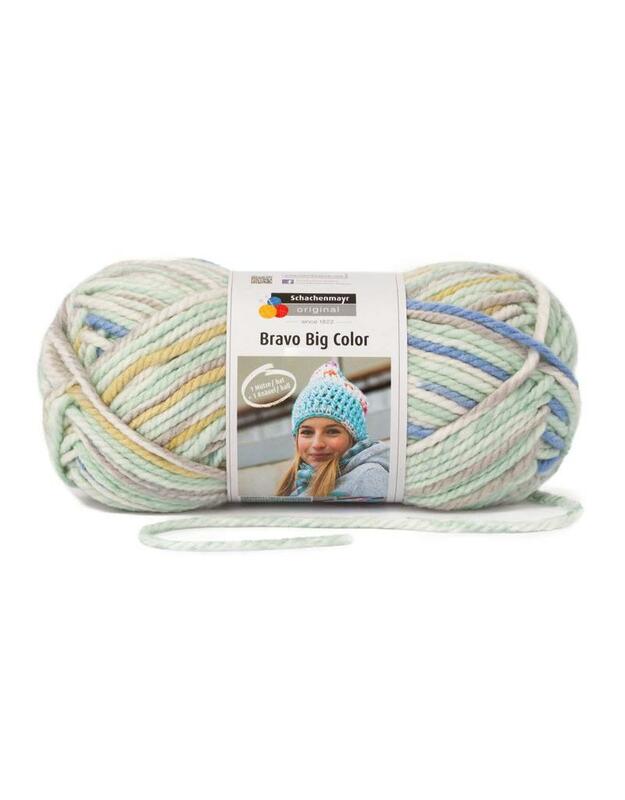 Whether you want to knit or crochet home decorations, beautiful garments or cozy accessories - Bravo Big Color is a great choice! 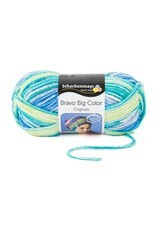 Thanks to its bulky gauge it knits up quickly and finished pieces have a wonderful lightness and volume. 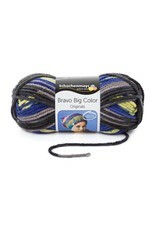 The beautiful color combinations and print effects are very trendy, with short repeats for a consistent all-over look. 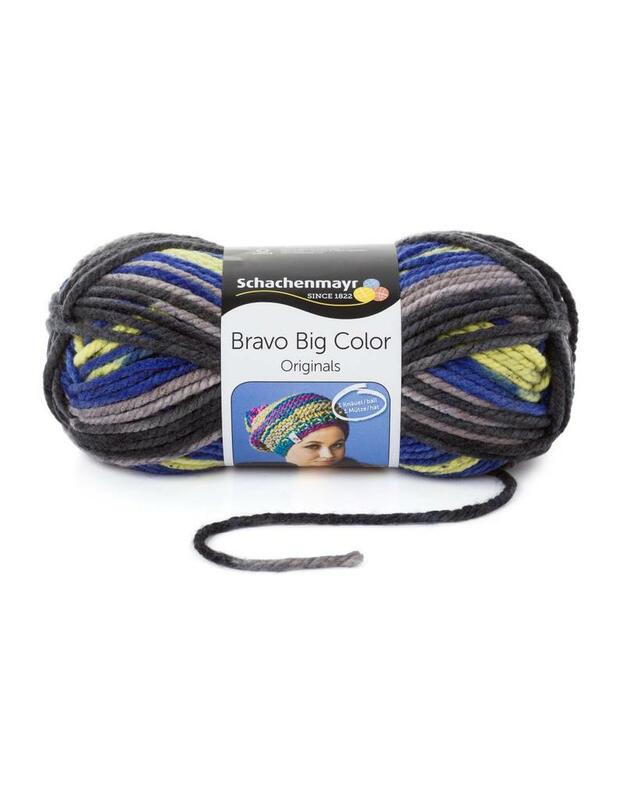 One 200 g ball makes a scarf in approximately 3 hours! 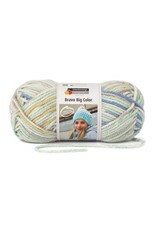 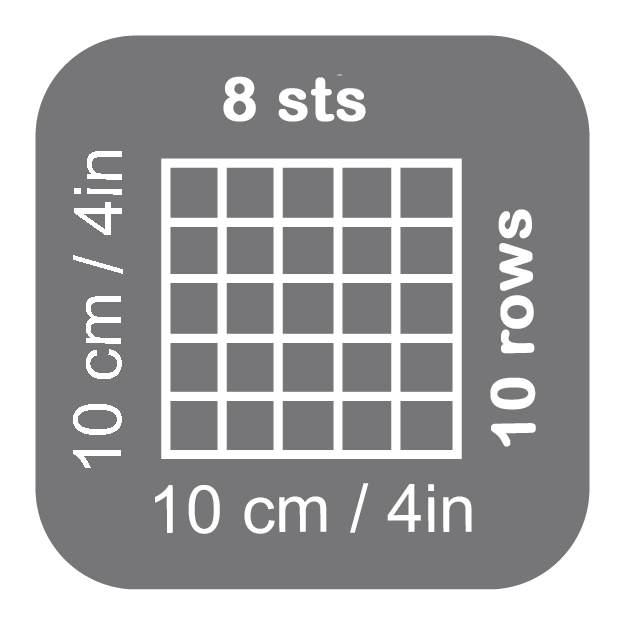 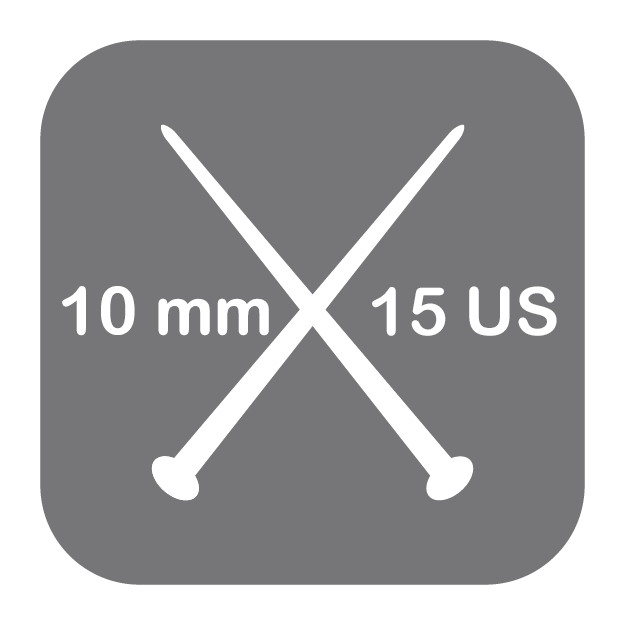 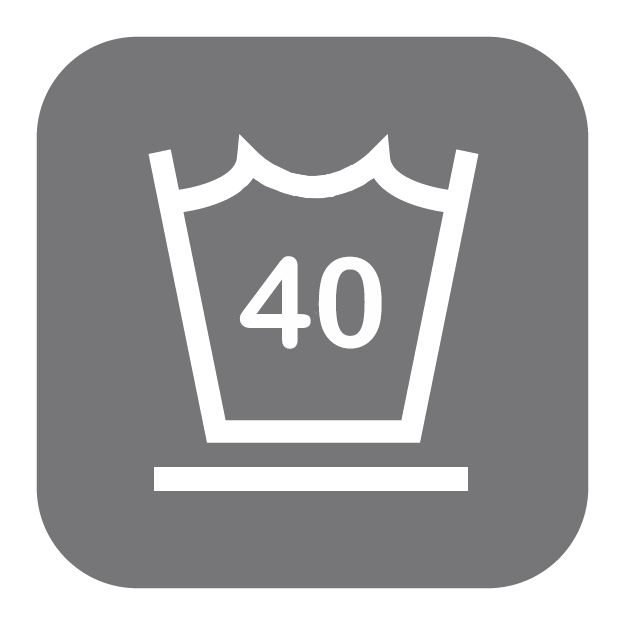 Ideal for quick, economical knits which are easy care and machine washable.